You must try these decadent bites that burst in a perfect balance of flavours. 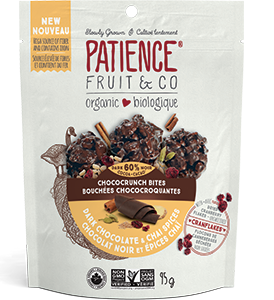 The subtle taste of coconut, plus 60% cacao dark chocolate, unsweetened cranberry flakes and crunchy brown rice, add up to a masterpiece for the mouth! 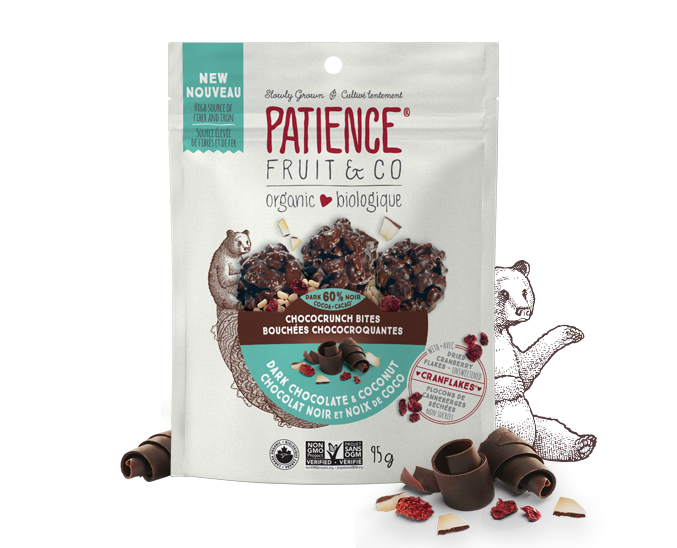 Dark chocolate 60% cocoa* (unsweetened chocolate*, sugar*, cocoa butter*), crispy brown rice*, toasted coconut chips*, dried cranberries*, cranberry seeds*, sea salt. May contain: peanuts, tree nuts, milk, soy. 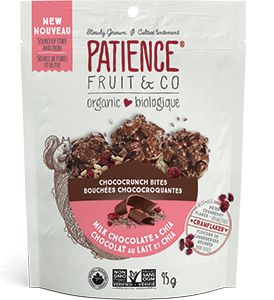 Chocolate bites with our new unsweetened cranberries (Cranflakes®) and crunchy brown rice – the ideal way to give yourself a healthy organic treat! 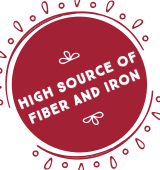 Besides adding a tangy taste to our Chococrunch Bites, Cranflakes® are a great natural source of polyphenols, known for their antioxidant properties. 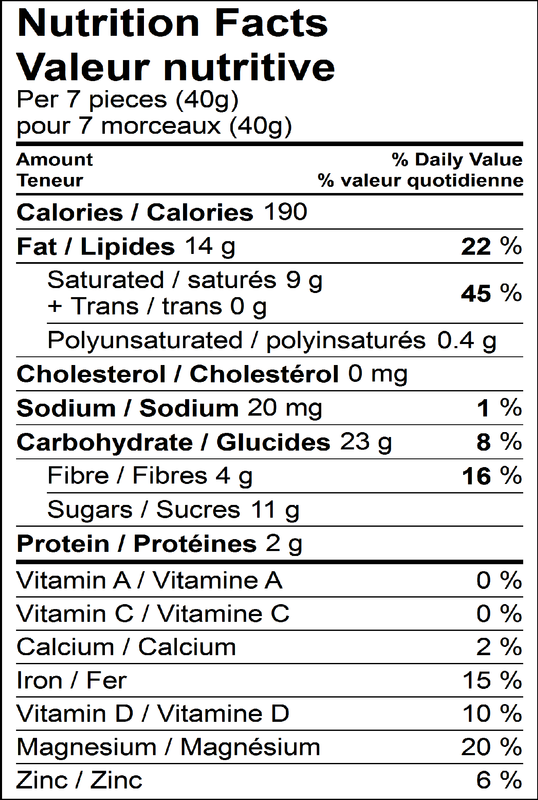 This flavour checks out with 292 mg of polyphenols per 40-g portion. Succumb to the subtle charms of our coconut snack, with 60% dark chocolate plus crunchy unsweetened cranberries – a brilliant combination! Quite simply decadent, our chocolatey bites make a perfect snack with a tall glass of cold milk – the classic comfort food. It’s a great way to give your taste buds a treat – guaranteed guilt-free!